Imagine you are a seriously ill patient caught in a whirlwind of hospitalizations. Can you imagine the number of bills, claims and statements that could pile up on your desk while you are too sick to deal with them? This inattention could cost you tens of thousands of dollars, often due to simple clerical errors, overlapping coverages, or duplicate billing. Even worse, the confusing medical system could make it difficult to arrive at a proper diagnosis and treatment. 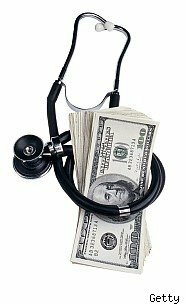 The National Health Care Anti-Fraud Association found that $2.26 trillion dollars was spent on health care in the U.S. in 2007, with more than four billion insurance claims processed. It estimates that 3% of these dollars were lost to fraud. The average U.S. household spent $2,976 on health care in 2008, according to the U.S. Department of Labor, not including the cost of insurance. The money spent on medical care and the abuses in it has spawned a new profession, the patient advocate (or, as some term it, the patient navigator). When should you consider turning to a pro for help with your problems with the medical system, and what can you expect from them? The most narrowly focused service in this field is the medical billing advocate. You can expect a medical billing advocate to deal with the proverbial shoebox full of bills, claims and statements, reviewing the processing, matching up procedures with bills and claims, and making all those calls and faxes necessary to clear up cases of simple confusion. In choosing a medical billing advocate, Laura Weil, Director of the Masters' Program in Health Advocacy at Sarah Lawrence College, suggested first confirming that the advocate is trained in medical coding. Membership in the professional group the American Academy of Professional Coders would be a good indication of this, she said. However, Weil told WalletPop that patient advocates can help the patient with many other problems presented by our confusing medical system. Russell said that patients often hire an advocate after realizing that hospitals aren't really staffed with obsessive Dr. House's, willing to work 24/7 until they find the proper diagnosis. Instead, those patients with difficult diagnoses are often shuffled from specialist to specialist without anyone putting the pieces together. In this respect, she compares an advocate's role to that of a quarterback, seeing the big picture and making sure that the disparate parts work together. Who uses a patient advocate? Among her company's clients are adult children unable to closely attend to an elderly ill parent, and professionals with sick children who are unable to keep up with the paperwork. A potential difficulty in finding a good patient advocate is that, since the field is so new, there isn't much professional credentialing yet. Only a few programs to date are training advocates, most notably at the University of Miami and the University of Phoenix (on-line). This means that when you shop for an advocate you need to be diligent in checking for qualifications and talking to references. Since the relationship can be intimate, there should also be a positive vibe between the patient and the advocate. Russell made the point that many people who are entering the field have varied backgrounds, some developing their expertise while helping or being a patient caught in the same maelstrom. Russell herself began her company after suffering through her daughter's life-threatening brain-stem tumor. "So many people have had terrible and humiliating experiences in the health care system," she said. "Those who traveled before have learned to fix them." Interestingly, Russell explained that advocates are already at work with those suffering from breast cancer, where foundation money is available to help cover the cost. The U.S. government is training advocates to help under-served populations, while high-end concierge medical insurances often includes access to an advocate. Some hospitals have advocates on staff to help patients during their stay. Those in the middle class, however, often must seek out their own advocate. How much should you expect to pay? Some advocates charge by the hour or the task, while others work on contingency, a percentage of any funds recouped. I have reservations about the latter. If I were a patient, I would fear that advocates that work on contingency would be prone to cherry-pick cases, avoiding any but those that seem assured of paying off. I want an advocate that fights for every dollar. Russell suggests that, once you find an advocate that you are comfortable with, you ask for an estimate, in writing. How much can you expect to save? Stories abound in the field about patients who saved thousands of dollars, but don't be mislead by best-case scenarios. This is the great unknown, totally dependent on your particular circumstances. The honest person desires to pay what he truly owes, without lining the pockets of hospitals and insurance companies with payments he doesn't owe but can't figure out. If you or your loved one is caught in that medical whirlwind, finding the right advocate could be one way to quiet the storm.